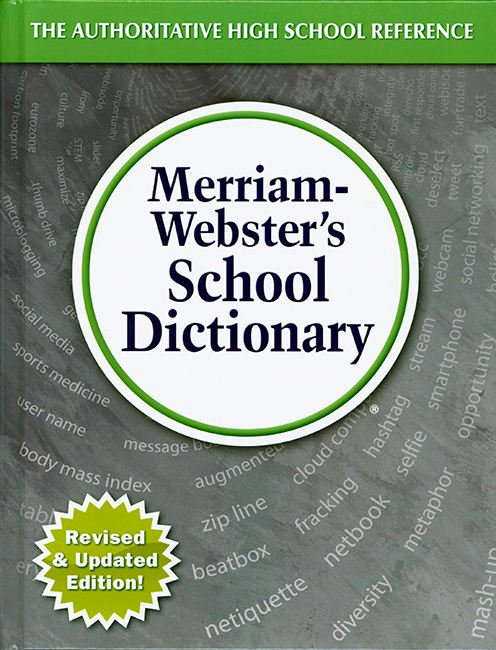 Merriam-Webster's School Dictionary (Grades 7-12) Over 100,000 words are included in this text, along with word history paragraphs. Reference section includes abbreviations, biographical and biblical names, geographic names, and a handbook of style. Word etymology also included. Hardcover. Black and White. 1,251 pp.